Today we had some fun with water. We put different sized balls into buckets of water and observed that they floated on top. Then we pushed the balls into the water to see what happened. We had to apply more force to push the bigger balls under the water than the little balls. When we let go of the balls they popped back out of the water, sometimes with quite a splash! We observed that it was much easier to move the balls through the air than to push them under the water. Then we took a heavy item (bottle filled with water) tied on a rope and lowered it into the bucket of water and were surprised to discover that the heavy item became lighter as it sunk in the water. 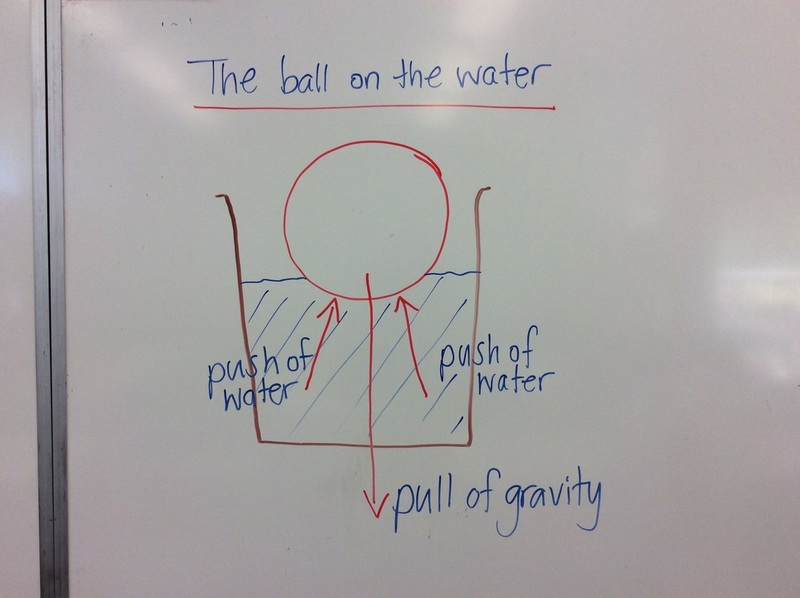 Mrs Marini modelled a force-arrow diagram of the ball in the water for us to copy and then we attempted a force-arrow diagram of the heavy object in the water for ourselves. It was tricky, so we will keep working on that. Why do we use a force-arrow diagram? 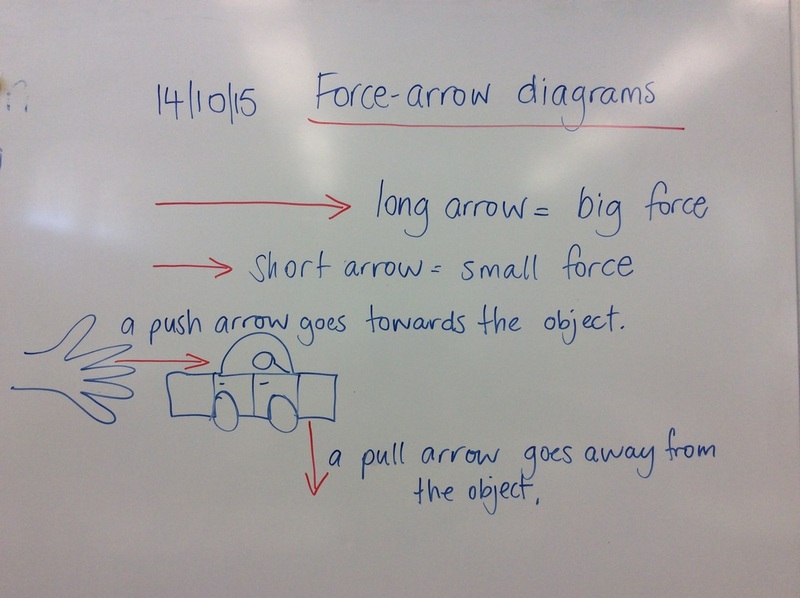 We use a force-arrow diagram to show push and pull forces. What does a force arrow diagram include? A force-arrow diagram uses arrow to show the direction of forces. A pull is shown by an arrow pointing away from the object. A push is shown by an arrow pointing towards the object.